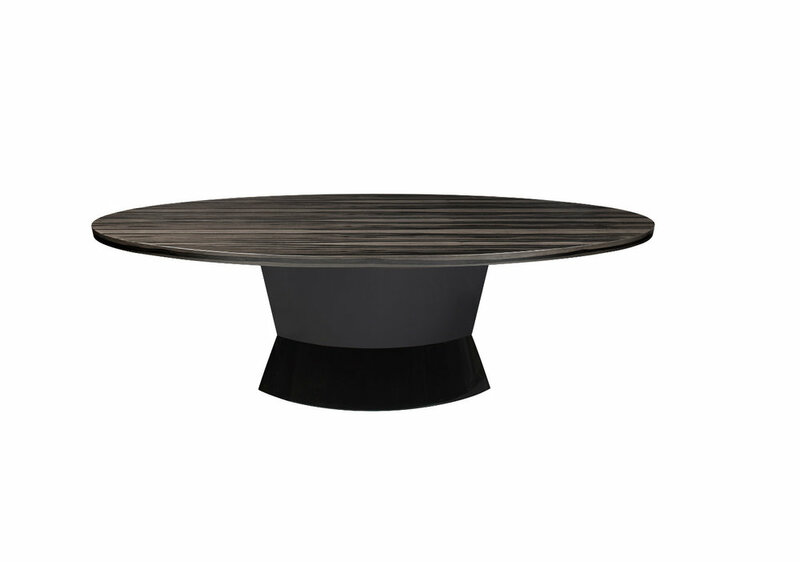 Janice Dining Table by Philippe Hurel in Oak and leather. 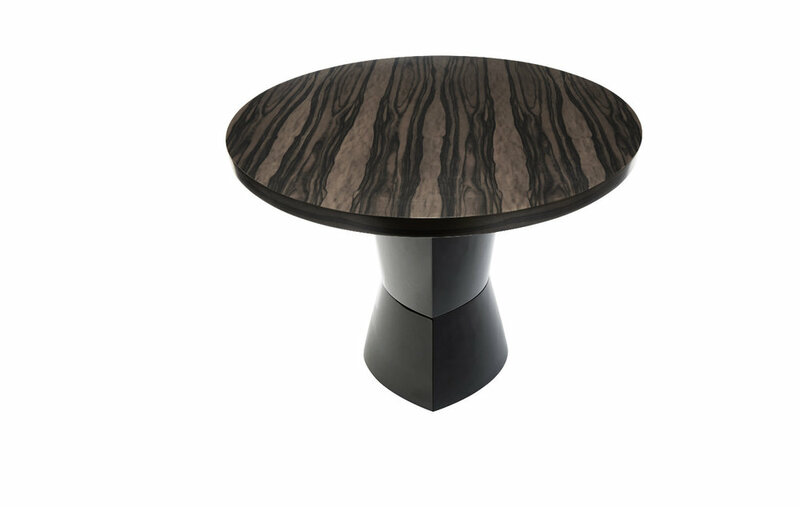 Veneered top, with solid wood edges, leather base. 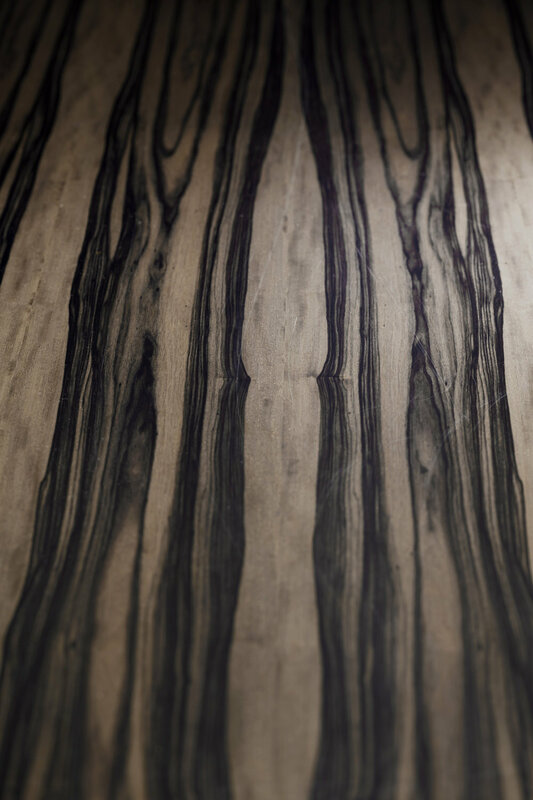 The wood species used by Philippe Hurel are entirely in keeping with the vernacular tradition of French furniture making, regardless of whether they are of European or exotic origin, or whether they are available in abundance or threatened with extinction.